LOMA LINDA, Calif. --- A critically injured grape was rushed to Loma Linda University Medical Center this afternoon after a terrible fall from a local kitchen counter. Already dangerously close to its expiration date, the bruised and scraped grape was wheeled straight into surgery and subjected to the full healing ministry of LLU's best. 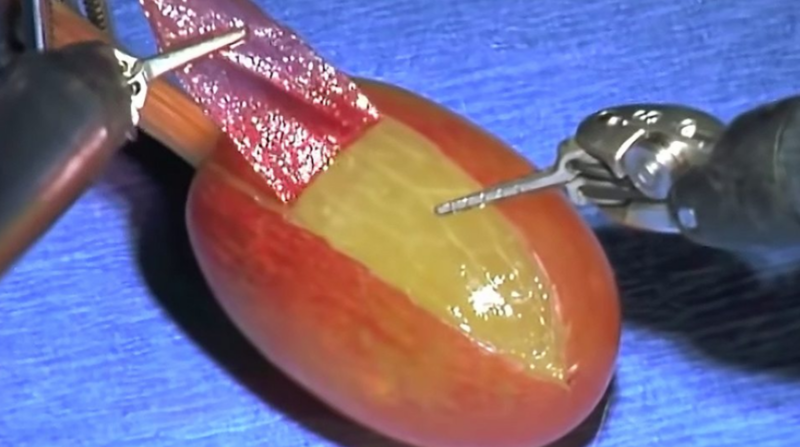 The grape, who was kept awake for the entirety of the procedure, kept whining about not wanting to be sent off to Welch's. He claimed he had far too much to live for to end up as an Adventist-friendly wine alternative. The grape survived its close brush with death and is expected the fully recover before being tossed in its owner's Sabbath fruit salad. Sounds like the grapes of wrath. If the grape had been turned into juice for communion, the story would have a different ending. More like sour grapes to me. Maybe this grape should be placed in the grape nuts cereal. I did hear the grape was on a cafeteria table at the GC during a WO discussion. What a smasherooo!!. No grapes in Little Debbies! !